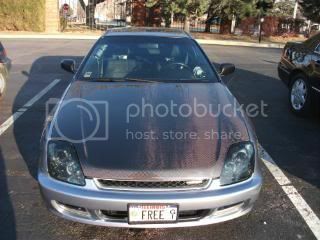 If you have pictures of any of these spoilers on a prelude of any combination I would be very grateful if you would post them. What do you guys think about this? I will post a new thread to get some fresh opinions too. Each spoiler will have a description of the look that is possible. It has the exact dimensions as the oem spoiler and does fit. mid rise, same as above, would paint gloss black. 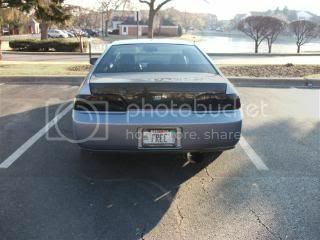 There is a close up picture of the black outline on the trunk to see what I am talking about. Pictures would be great, I have searched so many pictures and still have not found these combos. Especially with a cf trunk. -As mentioned above stock headlights and tail lights. Is there a place to buy already modded retro lights? -front and rear original lip kit on the way (used from ebay, great deal). Will be purchasing a side skirt in near future. -Changing exhaust from can to a cleaner stock type look vibrant street performance turbo exhaust with dual tips to come out just inside the opening in the rear lip. 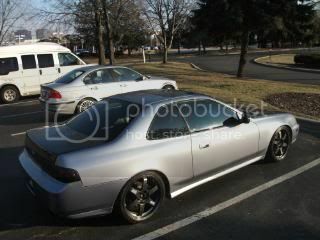 -carbon fiber spoiler stock trim? Need thoughts on this. I like the look without the spoiler from the side, but from the back it looks like it's missing something and needs something to tie everything together with the cf trunk. Last edited by silverlude80; 01-06-2011 at 01:48 PM. 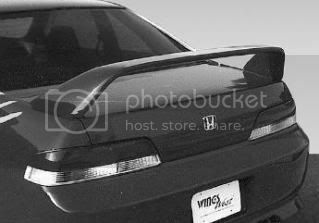 i would get the mugen or wing west spoiler, the duckbilled one. low and sleek. +1, Can't go wrong with Mugen. This is the one I am really leaning towards. It's like the wings west type r, seems to be about the same height (I will call and get dimensions to verify) With the lip kit, this will look good. Any thoughts on painting a fiberglass wing black so it matches the black outline on the trunk? Or just go cf? ^ Personally, I agree. Your car looks good bud. 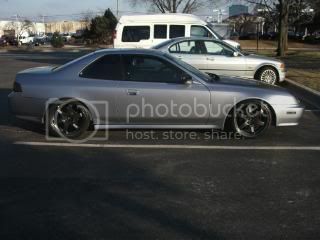 I think keeping the low profile to the trunk keeps balance to the skinny front end and the thicker trunk. If you were to get one something low. 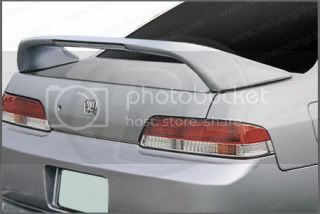 As it has been said, the mugen style spoiler. One concern you way want to look into is just simply making a void in the resin of the cf. Once you have done this the woven layers are susceptible to separation. Something you may wanna research. In my opinion, if you are going to have a spoiler on a carbon trunk, its mandatory the spoiler be carbon too. I've seen a few cars around town with painted spoilers on a carbon trunk lid and the color offset seems awkward. Hey Reika, I am not sure I understood your post completely. 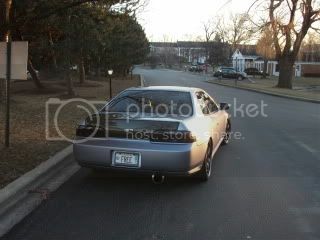 Your buddy had a cf trunk and a cf type r kind of spoiler like the one I posted above? 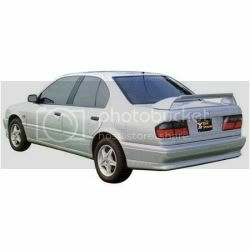 What does the duckbill spoiler look like? 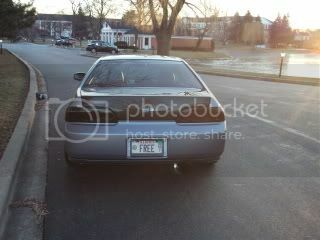 Did he have the cf trunk and a cf duckbill? 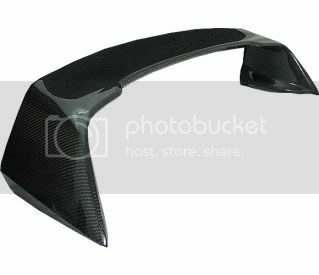 I am really looking for pics of a cf trunk with a cf spoiler, preferably the one above. I cannot find any pics with cf trunk and cf spoiler. 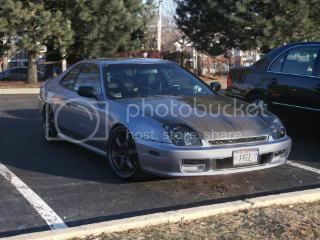 I do have a front and rear original lip kit already shipped and on the way. I agree, it does make a huge difference in look. Anything looks good with the lip kit. Last edited by silverlude80; 01-07-2011 at 12:26 PM. i like the mid rise one, and pretty sure wings west makes it in CF..
That spoiler will look goofy on there. Just sayin. Stick to the lip style ones like Mugen. 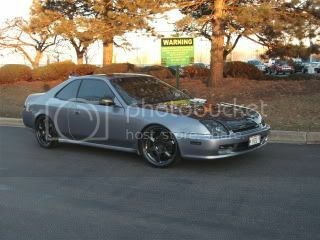 check out 1badbb6's prelude, its that spoiler, but cf.